Something might happen, possibly happen, or even be likely or probable to happen, but that doesn’t mean it will happen. 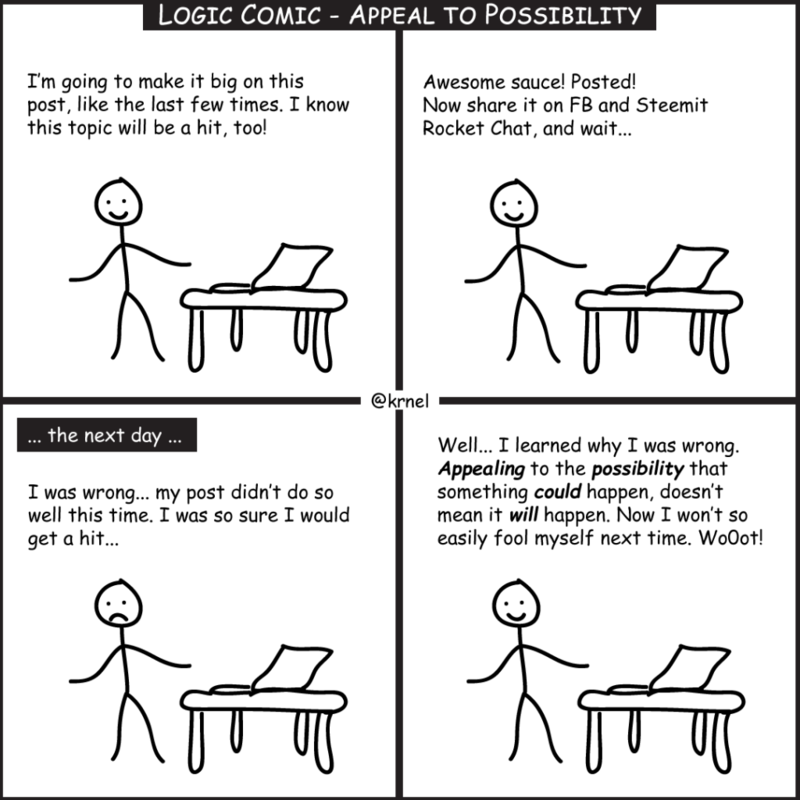 When we assume something will inevitably happen because it could happen, we are engaging in the appeal to possibility or probability fallacy. Something being probable doesn’t prove it as a fact. However, this doesn’t prevent us from making decisions based on statistical information. Statistics and probabilities are useful. But “sure things” are often not sure things. High probability means less likely wrong, not 100% certain or right. Murphy’s Law is a fallacy of appeal to possibility . There is always a chance something will occur. Probability of occurrence is not proof. There is a 95% chance that X can happen. I flipped tails 51 of the last times. I will flip tails on the 52nd time as well. Therefore, something will go wrong.